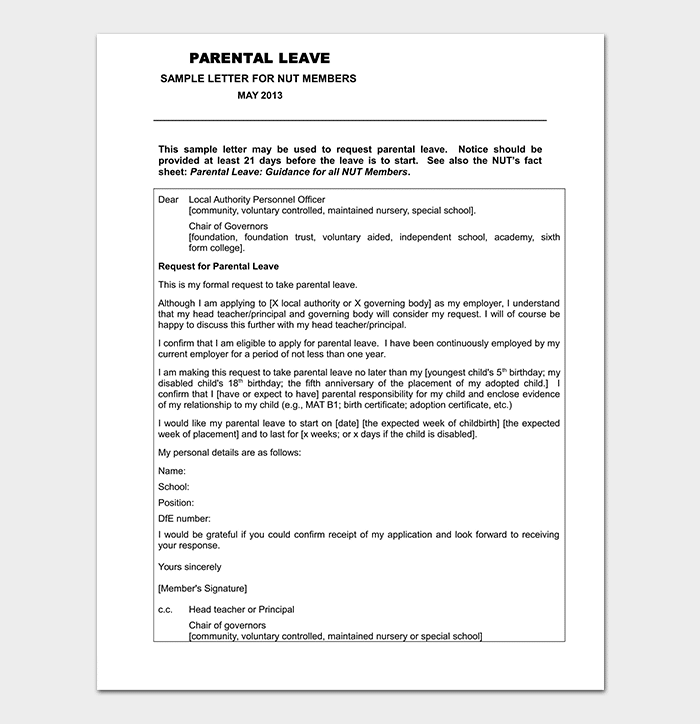 A request letter for leave is a very formal letter that one writes to his or her supervisor to request a leave of absence from work for a specific period of time. 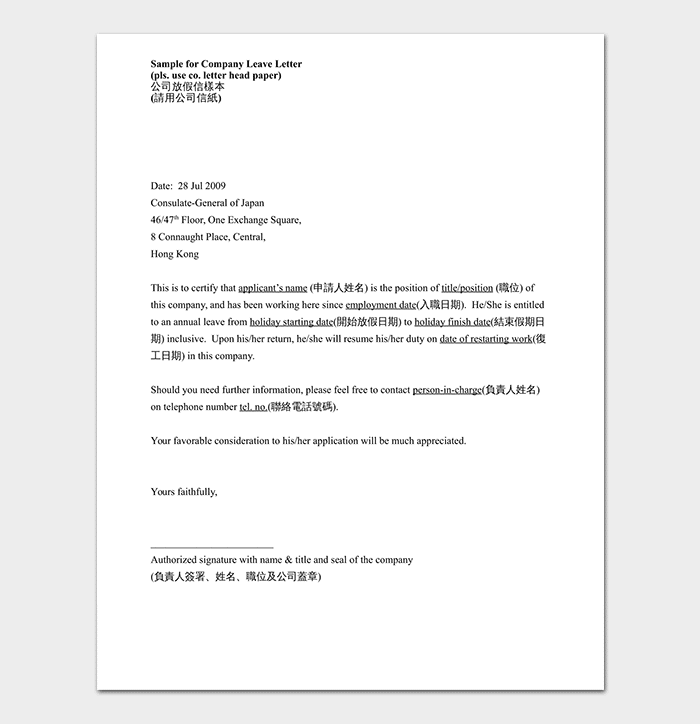 This letter should be written and given to the supervisor before the time one will need the leave, it should also explain the reason for that request. 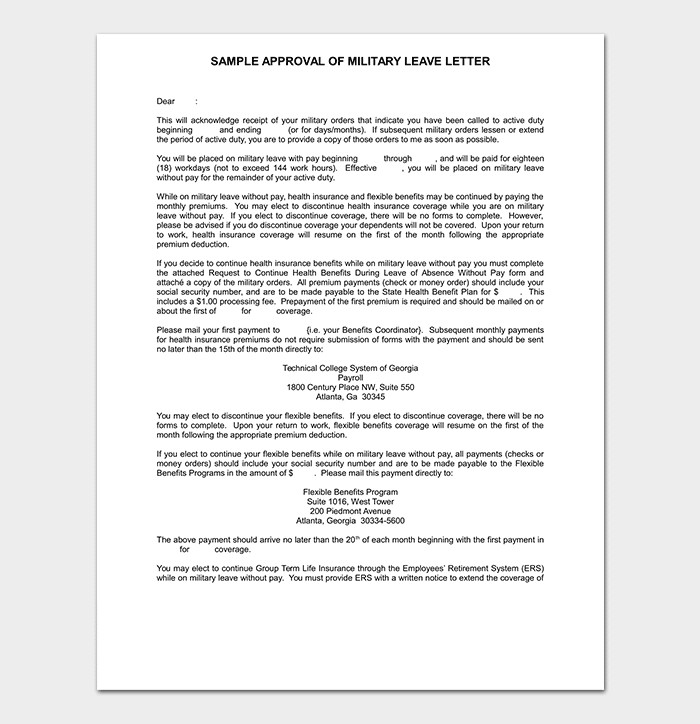 Some people might find it hard to write this letter because they do not know the format or the requirements to write it, such people can use a sample request for leave letter, this will ensure that they do not miss out on anything, sample letter saves time, helps you to be straight to the point and have limited or no errors made. 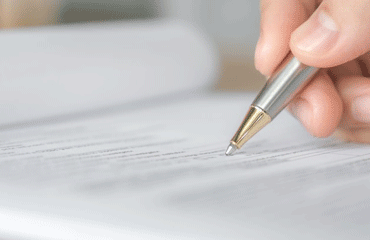 You should know your rights before arranging for a discussion about the leave with your employer. Start by asking your immediate supervisor, it would not be fair if he or she hears it from the human resource. 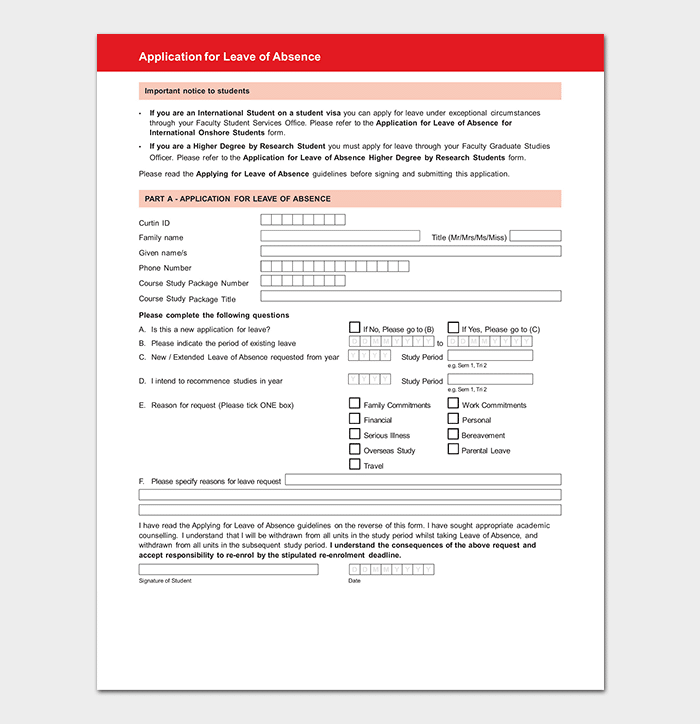 Provide your employer with an advanced notice so that it would be easier for him to find someone to fill the space you’ve left. 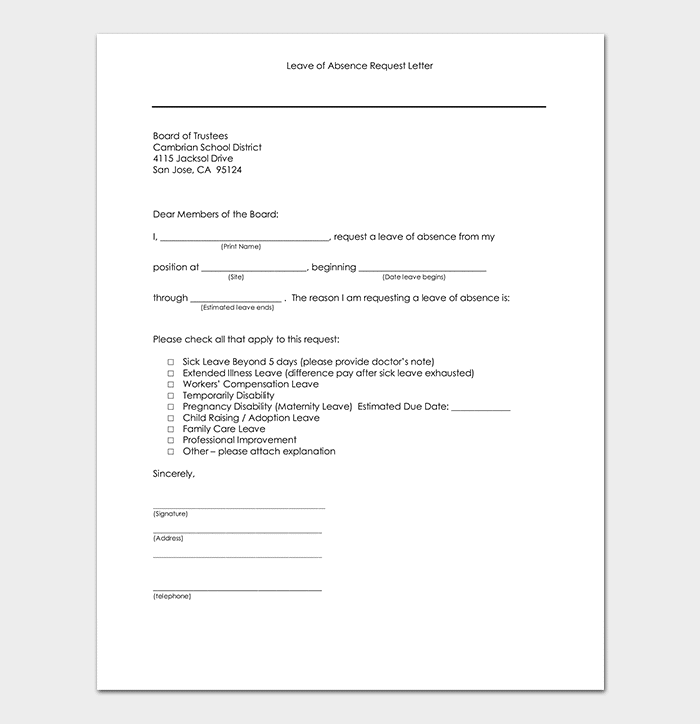 Put down your entire request in writing before your meeting with the supervisor so that it becomes easier for him to understand it better before the discussion. 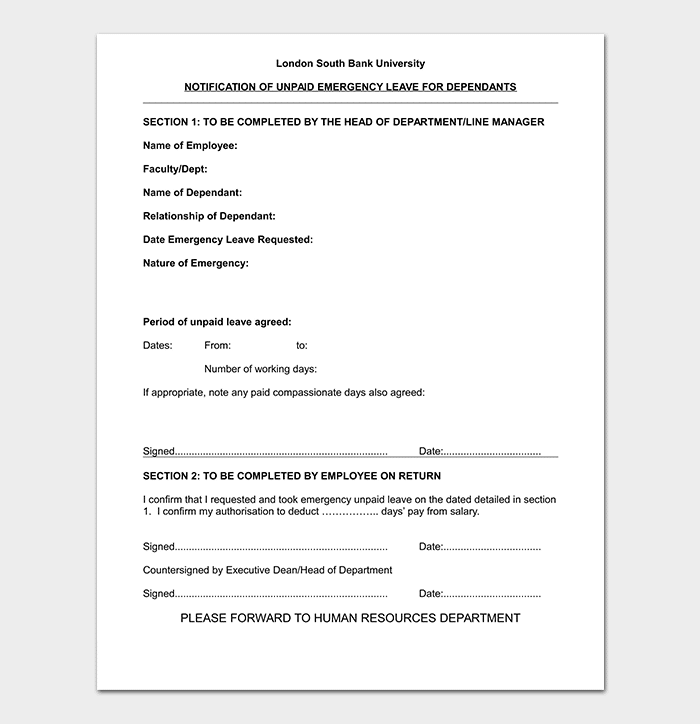 Indicate the date when your leave ends so the supervisor will have the knowledge of the day that you’ll return. If you are planning to take two months leave or more, you have to plan your finance and see whether you can pay for all your bills without your salary. 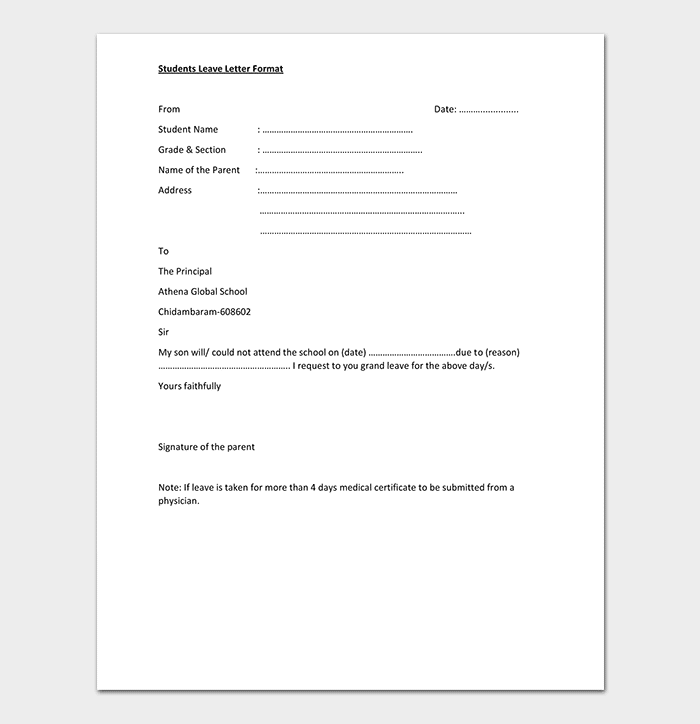 This is a written form of a request to the school authorities to allow a student to be absent from school for a specific period of time and for a specific reason. 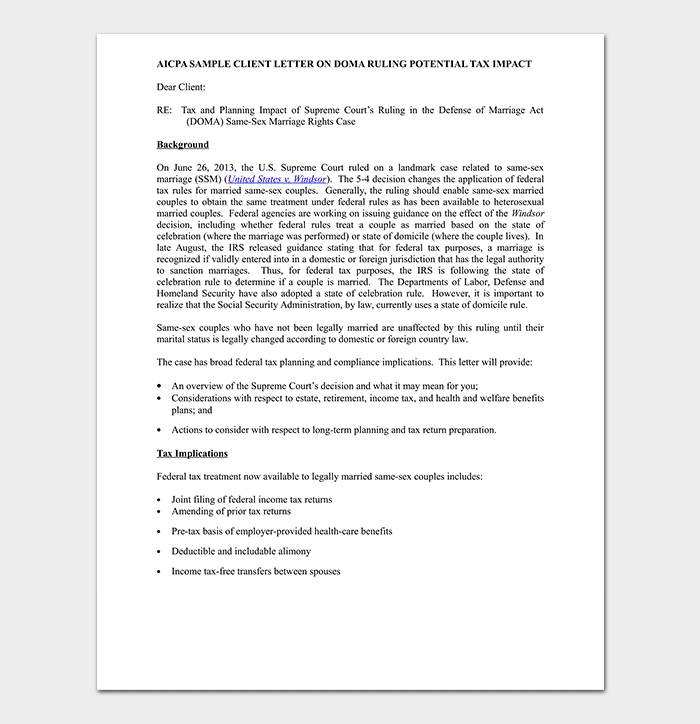 Parents should be the ones to write this letter, and by writing this letter, they are able to provide a valid reason for their kid’s absence and claim responsibility for their kids. This is a short notice that an employee gives to an employer when he or she has to take a short leave of absence because he or she needs to go and fix some personal problems in the family or at home. 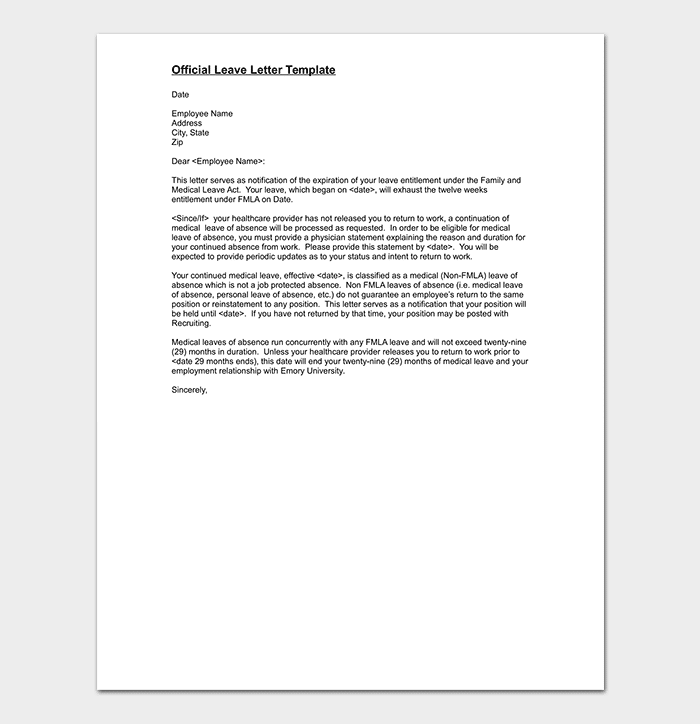 By writing this letter to your employer, he will be able to understand you more when the two of you will be discussing this issue letter. 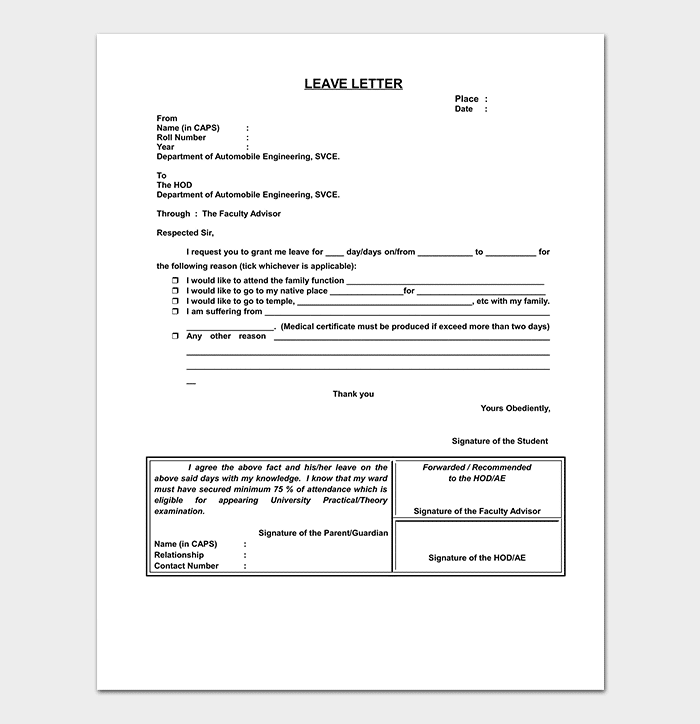 It is either written by an employee to ask for an annual leave or written by the company to ask an employee to take an annual leave. 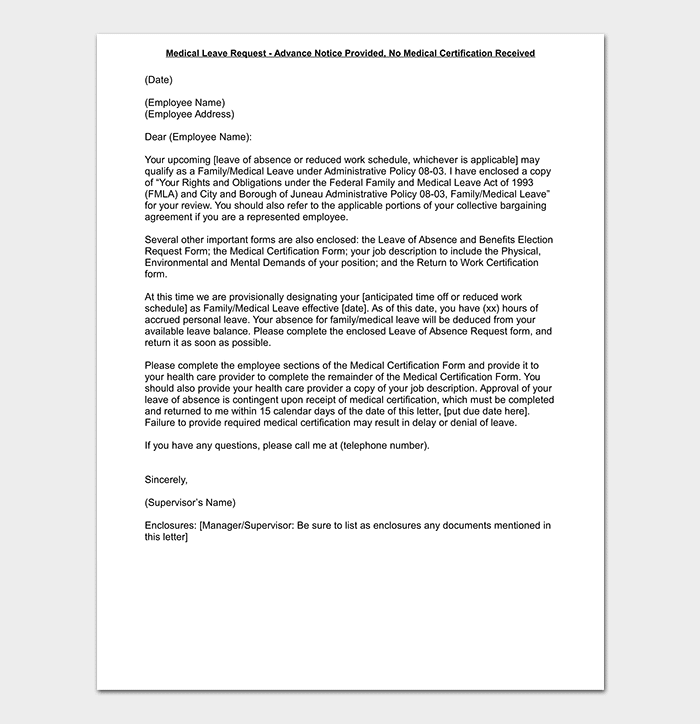 Through this letter, the company and the employee can, therefore, inform the concerned people about this leave and how their duties will be delegated when they’ll be absent. 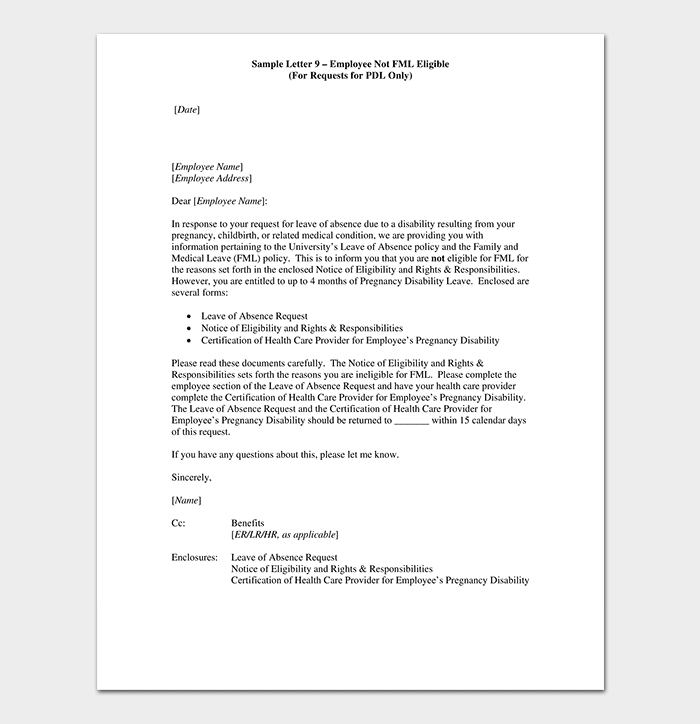 This is written to formally inform your employer that you will be absent from work because of some health-related issues. Your company policy may require that you also prove a medical letter from your doctor; this will, therefore, ensure that you do not lose your salary or any benefits that you’ve been enjoying while at work. 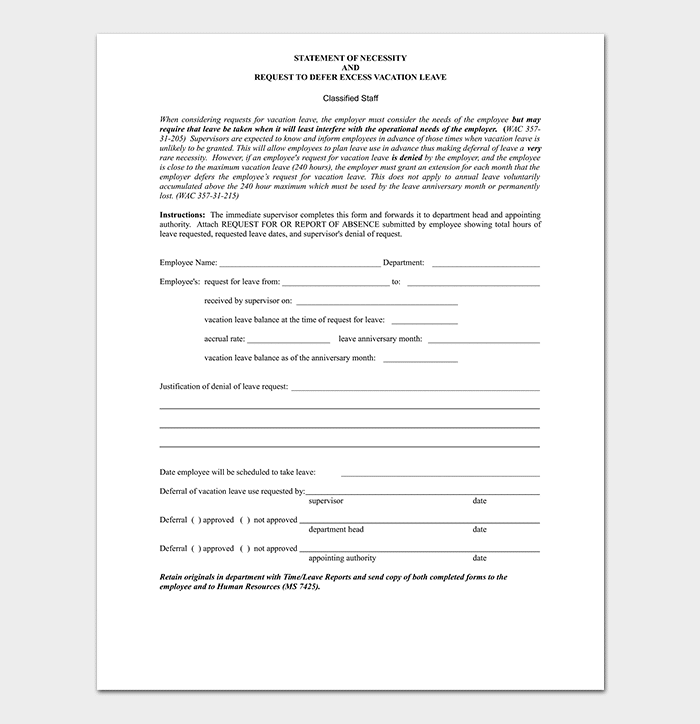 This is made to the company to be absent from work for a period of time for reasons accepted by the company. 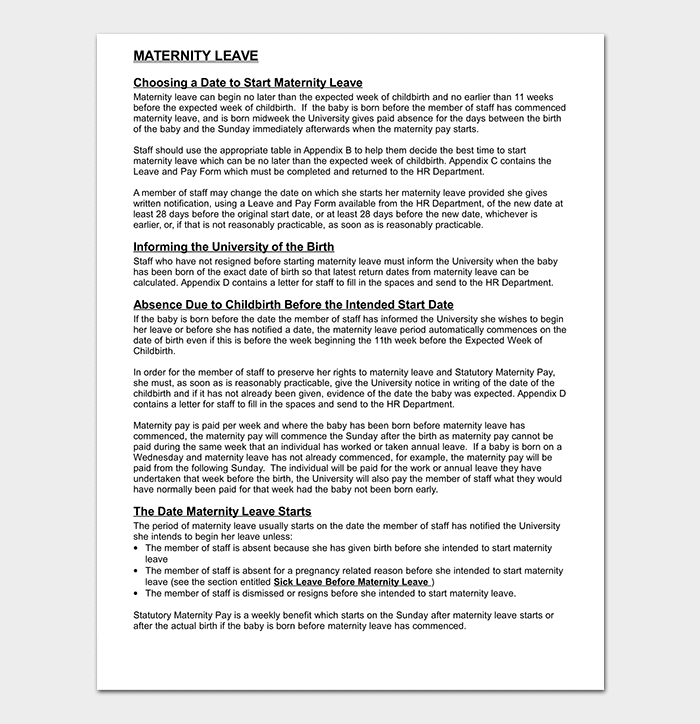 Writing a vacation leave letter can get you that chance to get your head off from work and enjoy your vacation with your family and friends. 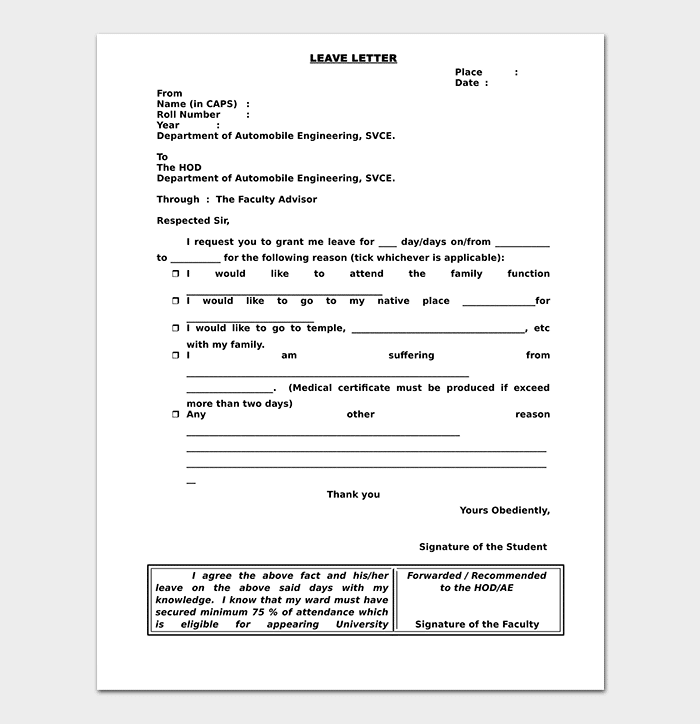 It is written to request a leave from because of illness and must show proof of illness. It is important that if you feel strange in your body, you should seek medical attention, this might, unfortunately, lead to the doctor discovering a certain illness that might need you to be absent from work, do not hesitate from seeking that leave to get treatment.